Creature Variety - The goal is to have a large library of creatures to use for the final game. Thus far, we're on track to meet this goal. 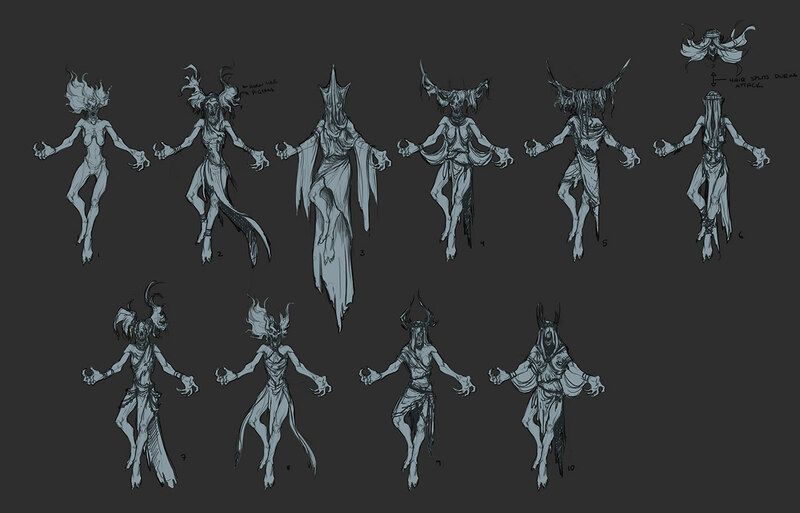 The concept artists, modelers and animators have been tearing through the bestiary and delivering quality assets at a rapid pace. Recognizable is Good - We don't want to try to reinvent the wheel with every single monster. As we've shown in an earlier update, we feel some classic monsters, like the ogre, are essential to capture the adventuring feel we are aiming for. Moving forward, we are committed to including monsters that we feel fans will appreciate, while giving the beasties flavor appropriate to the world of Project Eternity. Different if Cool - We've already shown one of the unique creatures for Project Eternity in an earlier update, the skuldr. We will continue to create other unique, and often times bizarre, creatures to populate our world, but unique doesn't always need to feel bizarre. Different because it's cool is the goal. 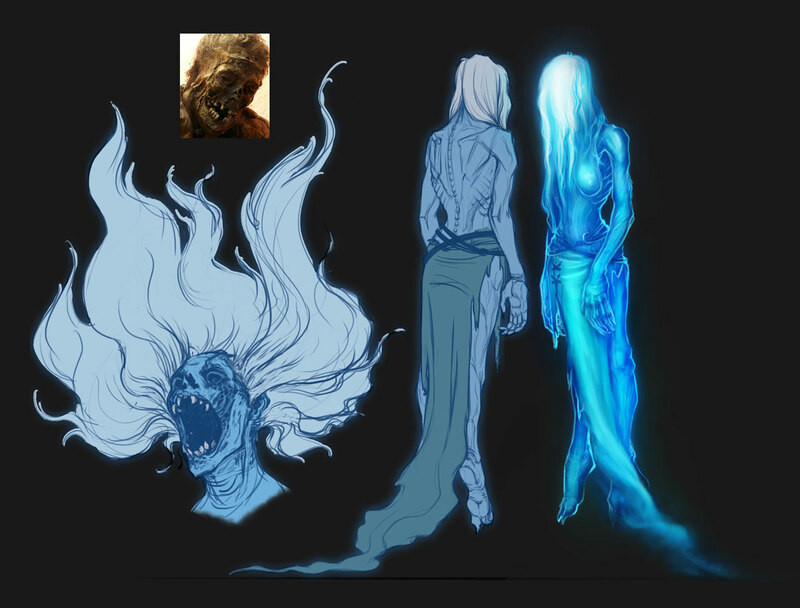 So now that I've briefly discussed our high level goals, let's talk about a new creature: The Cean Gúla (KEN GOO-lah, "Blood Woman", Glanfathan), and the pipeline we use to get it through the concept phase. The creature idea is added to our bestiary document. Members of the team can comment on the document and share their thoughts/concerns on any given creature. The bestiary is updated based on feedback from the team. Some creatures get the thumbs up, while others get cut. An approved creature is then assigned to a concept artist. In the case of the cean gúla, Polina Hristova was in charge of this crucial step. The concept artist does a first pass, creating a series of thumbnail sketches (image below). The leads of the project review the thumbnails, choose a favorite, and provide the artist with feedback. The artist creates a final concept based on the feedback received (image below). The update also contains an endorsement of Full Control's Jagged Alliance: Flashback Kickstarter, which is a pretty BRO move by Obsidian.